We offer full brokerage facilities for your boat. Boats can be displayed in our showroom. We are located at the New Lake and interested clients can make a test-run easily. With our crane we can lift boats simply in and - out of the water. The showroom is well located, just 15 minutes from Schiphol Airport and only 15 minutes from the city center/central station. 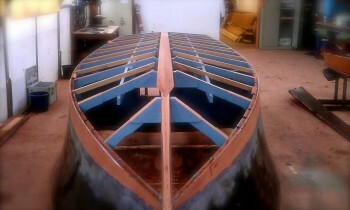 Restoring boats is our passion since 1986. Customers are highly satisfied with the jobs we provided for them and during the years several prices were won for restoration work. Therefore excellent results are guaranteed. Whether it is a full restoration or separate fixes. 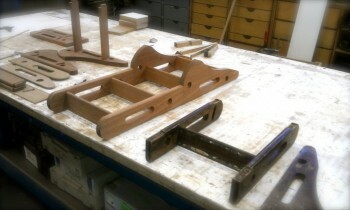 Think about upholstery, deck, bottom, paint or mechanical jobs. For an impression you're welcome to have a look at out our gallery. Our clients come from all over the world. Therefore we work together with transportation services to provide the necessary needs. 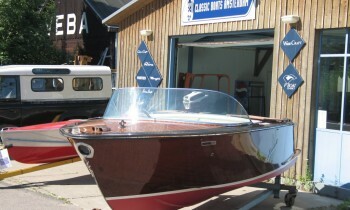 Wether to transport a boat to our showroom or taking the boat for a holiday. We're pleased to help with any transportation matter. When you are having problems with your boat we're ready to bring her back in running condition soon as possible. Experience has learnt us over the years to find the right solution in particular situations. Feel free to contact us for any matter regarding your boat. In the meantime, feel free to have a look at our project gallery Projekte an.